The joy of this Veritas interview is that Colin Andrews' crop circle research turns out to be the vehicle through which greater realities about ourselves and our world (and about him!) come into focus in a unique and beautiful way. 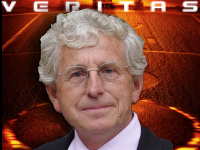 Crop circle confidante and counselor to British royalty (which they deny) and for decades now the world's authority on the mysterious manifestations, Andrews delivers a rare gift on this show. He reveals some of his own metaphysical experiences, secrets that he, like so many in the know, have had to hide from the world. It's time to be honest and authentic, he says, to take responsibility for what's happening on this planet. The central message of the crop circles, he explains, is that we are at a turning point in evolutionary history. Human beings must evolve. The planet must be saved. We must find a way to pierce through the lies and deceit and control perpetrated upon the masses by the few. Time is of the essence. Our fate is hanging in the balance. Crop circles are conveying one overarching fact: There is hugely more to our existence and capabilities than we have been allowed to know. The second gift Andrews bestows here, by virtue of his own insight, is this: The crop circle phenomenon turns out to be a teaching tool about the "field" in which we exist, where something hears our thoughts and responds either telepathically or materially, or both. The palpable undercurrent of this prolific author's entreaty is his love for Earth, humankind and all creatures. A pleading despair percolates between sentences as he mentions the "war machine" that the USA has become, the damage perpetrated upon wildlife that HAARP's desperate measures to combat global warming is causing, about "the complex web of deception," and "the glazed eyes of children worried about jobs and roofs." He laments today's paucity of respect and love. Andrews has just penned a highly researched book addressing the 2012 phenomenon, and it's an eye-opener when he says that the December 21 night sky will exhibit the ominous "Finger of God" star formation. He says we are exiting a 26,000-year period of human evolution, currently in a stage that will last until 2033, and moving into a golden age. But "we're looking at a whole spectrum [of collapse] we have to be able to rebuild," he says. "At the end of the day it's about us. We are the guardians of this planet. And it's time to take the reins in another direction." Colin Andrews is an electrical engineer by profession and was a principle official in British Regional Government during the 1970’s and 80’s. He coined the term Crop Circles in the mid 80s and in 1991 it entered the English Dictionary as a new term. During his years of research he advised Prime Minister Margaret Thatcher’s cabinet on the mystery and the Head of State, Queen Elizabeth. He supervised the largest crop circle surveillance project of its kind in 1990 named ‘Operation Blackbird’, and amassed the largest data base on the subject. In 1996 and for two years Colin was funded by anthropologist Laurence Rockefeller, during which time he provided information for the Rockefeller Initiative. He has made presentations around the world at universities, schools and public venues as well as participate in government meetings and brainstorming sessions. Venues include the special interest group 'U.N.S.R.C..' at the United Nations, and The Hakui Space & UFO Museum Project in Japan. He has been a consultant to international institutes in many countries. Among Colin’s publications was Circular Evidence, 1989. The book was co-authored with Pat Delgado, this was the first book ever written on the subject and it became an international best seller. It was also chosen by Queen Elizabeth for her prestigious "Summer Reading List", the first time a book of this kind has ever been selected. Crop Circles – Signs of Contact, 2003, co-written with New York Times best selling author, Steve Spignesi covers new aspects of the research and is recognized as the 101 on crop circles. His most recent books include The Andrews Catalogue, Government Circles, The Assessment. The Complete Idiots Guide to 2012 and The Complete Idiots Guide to the Akashic Record were co-authored with his wife Dr. Synthia Andrews, author of new book The Path of Energy. He was consultant for Mel Gibson’s Disney block buster movie Signs; and Marcus Thompson’s British movie A Place to Stay which was featured at the Cannes Film Festival in 2002. 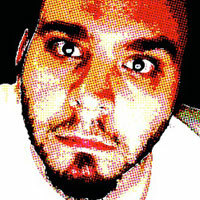 Andrews has appeared on numerous well known television and radio programs around the world including 60 Minutes, 20-20 with Barbara Walters, Good Morning America, Sightings, Unsolved Mysteries with Robert Stack, Coast To Coast with Art Bell and George Noory, Histories Mysteries, The Shirley Maclaine Show, Dan Aykroyd’s Out There, The Sally Jessy Raphael Show, BBC's Daytime Live, The Ray Martin Show, National Geographic, Nippon TV’s Thursday Special, The Gloria Hunniford Show, History v Hollywood, American Movie Classics with Mel Gibson and M. Night Shyamalan, CNN Live Today, The Learning Channel's Looking for a Sign, Discovery one hour special, CBS Gateway to the Unknown and many more. 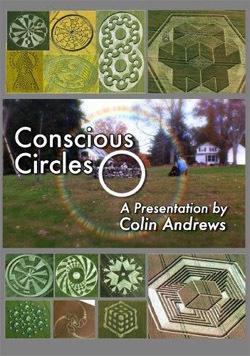 Colin has just completed two new television documentaries which will show his current findings and perspective and will be aired in the United States and Europe during 2012.